Turkmenistan is a country in South-Central Asia, and you may have heard that the people there know their way around making a carpet. They are so good at producing them that they even put one on their flag. While the Turkmen are known to be traditionally a nomadic people, they are settled in cities now. Even so, you can still explore some of their nomadic life. For one thing, you can go horse trekking to the nomadic villages of Gurrukly, Chyria, Orazsahet, and to the Geokdepe Reservoir. On your way there, you will encounter picturesque landscapes. Other than that, you can choose to go hiking in the Kugitang Nature Reserve, and if you feel up for it, you can take an adventure tour and camel trek in the Kara Kum Desert. Before you leave for Turkmenistan, you need to know whether or not you need a visa to enter the country. In fact, according to Turkmenistan’s visa policy, all travelers must obtain a visa. To get that visa, you need to hold an invitation letter from a travel agency licensed in Turkmenistan. At the same time, travelers who have an invitation letter from a company registered in Turkmenistan with pre-approval from the Ministry of Foreign Affairs can get a visa on arrival that ensures a 10-day stay. Once in Turkmenistan, you can extend the visa with another 10 days. 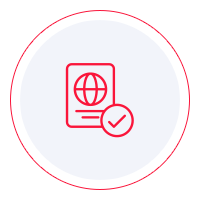 Since all nationalities must hold a visa to enter Turkmenistan, iVisa’s Vis Checker is not of much help. However, if you want to know additional details, you can use the tool for that as well. For example, you are given a list of the diplomatic missions you can contact. First, you need to access the feature by clicking on the Visa Checker in the top right corner of this page. Then, you must select your country of origin from the drag-down menu on the left and add Turkmenistan in the box on the right. You will be provided a list of the nearest embassies. iVisa cannot process Turkmenistan visa applications at the moment, but if that changes in the future, we will let you know. Meanwhile, we can provide some guidance. Our support service is available 24/7 and is free of charge. As for the requirements, you need to learn about those as well. You can do your research online, but we recommend caution. That is because the information you find online is not always the most reliable. As an alternative, we advise you to call the issuing authority and ask about the requirements. It is the most legitimate source of information. In the meantime, what we can tell you is that all applicants must have a valid passport that does not expire for at least another 6 months from the date of arrival in Turkmenistan. We regret that we cannot extend our assistance, but surely you will manage the situation. We hope that the information above provides some valuable knowledge that helps you in the application process.